Ho Chi Minh City has planned to allocate VND8 trillion ($344.7 million) for 218 anti-flood projects in 2019. Of which, VND5 trillion will be invested in 77 on-going projects, VND2 trillion in 47 new projects and VND819 billion in 94 would-be projects. As per the anti-flood program in 2019, city authorities will give priority to tackle inundation in the downtown and northern, western, southern, northeast and southeast gateways into the city with the length of 550 km2 and the population of 6.5 million. Simultaneously, the program will improve water environment and increase reservoirs contributing to residents’ better living condition and environment protection. Specifically, the program will improve drainage system in Mai Thi Luu Street in District 1 and upgrade Huynh Tan Phat Street in District 7. Moreover, the city will finish anti-tidal- flooding project in the downtown area to cope with climate change. 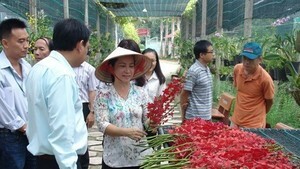 Construction designs of four drainage system in Tan Quy Street in Tan Phu District, Bau Cat and Truong Cong Dinh streets in Tan Binh District, Dang Thi Ranh and Duong Van Cam streets in Thu Duc District and Le Duc Tho Street in Go Vap District have been approved. The city has also speded up the projects of collecting water discharge from industrial parks. The city's traffic construction investment management board has accelerated upgrading projects of Binh Hung Waste Water Treatment Plant with the capacity of 469,000 cubic meters a day to finish in the fourth quarter of the year. What is more, the management board of urban infrastructure investment will push up the speed of Nhieu Loc- Thi Nghe waste water treatment plant whose capacity is 480,000 cubic meter a day. 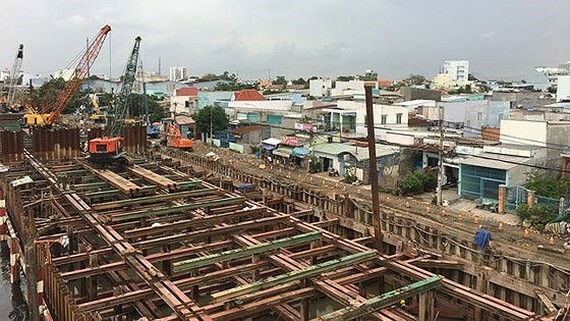 In addition to these above-mentioned projects, Ho Chi Minh City will completely handle households which encroached culverts and drainage canals. Underground reservoirs will be built in severe flooded areas as well as enhance road projects with the aim to crackdown inundation in the city. The municipal People’s Committee asked the Department of Construction to keep an eye and handle arising problems during the process. The Department should organize periodic meeting to review what have done to check the project’s pace. Moreover, the Department should control all culvert and drainage systems and adopt advanced technologies especially in the field of waste water treatment and anti-flooding. The People’s Committee ordered the Department of Science and Technology and related agencies to apply new technologies to save money and operation cost as well as protect city’s landscape. Spending on these projects will be taken from city budget in order of priority as well as call for social contribution and investment in the form of public–private partnership. Multiple –purpose projects especially these combining anti-flooding, traffic congestion reduction, urban renewal and environment pollution alleviation will be top priority.